It was an incredible year for Starship Zailab. 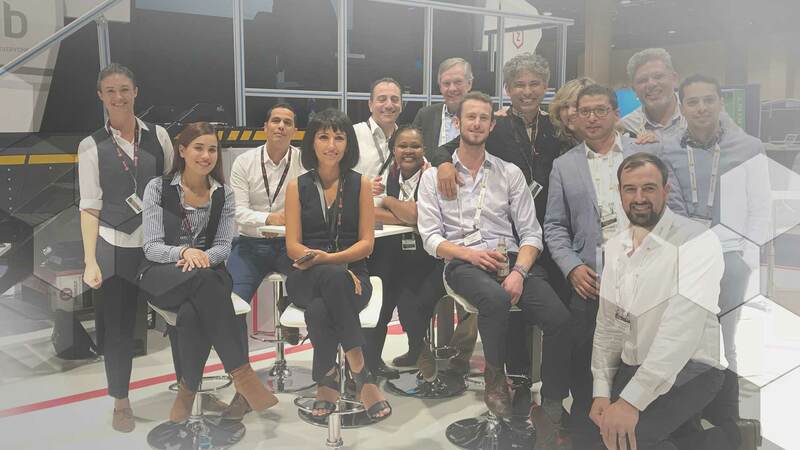 The ZaiTruck once again turned heads as we kicked off our global expansion, our cloud-based platform soared to new heights, and we welcomed plenty of new faces on board. Thanks to the crew’s hard work over the last twelve months, we rolled out several key platform upgrades, including 24/7 platform availability, a brand-new easy-to-use webphone, speech analytics (alpha), CRM integration and the introduction of tollfree numbers. In March, we officially launched our cloud-based contact center platform in the US and started our global expansion. The crew had a hugely successful exhibition at Enterprise Connect in Orlando, followed by another appearance at CCW in Las Vegas. We joined the channel market by officially partnering with Master Agency Intelisys and welcomed our new channel team on board under the leadership of Michael Cibelli, SVP Sales. This year Zailab was once again honored by the industry. Not only were we included in Call Center Helper’s Top 10 Contact Center Technology Awards, we also made the shortlist for UC Awards’ Best CX Solution. Counting our previous recognition from Finances Online and Frost & Sullivan, that brings our grand total of awards and nominations to six. Not bad for the new kid on the block. We officially opened our community contact center in Delft, which is powered by Zailab’s cloud-based solution. The center provides training and employment to members of the community, many of whom spend a lot of time and money commuting to contact center jobs in the city. Zailab wanted to make a real difference in the area and partnered with Home of Compassion to make this project a reality. At Zailab, we have a reputation for pushing boundaries, and that includes our own. Our staff strives to exceed their limits and prove that nothing is impossible when you are passionate enough. Zailab Industrial Designer JP Viljoen and Solutions Architect Kornel Steyn spearheaded a team hiking excursion to the Fish River Canyon. Not a month later our founder and CEO Nour Addine Ayyoub led another successful expedition to the summit of Mount Kilimanjaro before once again taking part in the African Centurion race-walk, which Zailab continues to proudly sponsor. What type of reflection piece would this be without some personal highlights? Wedding bells and rattles were heard in abundance this year. Congratulations to Jahid, Carla, Martea, Marcel, Yasser and Richard who all tied the knot in the last twelve months, and to Janine, Akshar, Samson and Kholo, who welcomed brand-new bundles of joy into the world. This year also saw many new crew members join the ranks of Starship Zailab, both in the US as well as our development hub in Cape Town. Welcome to you all. We cannot wait to see what 2019 has in store for us. Watch the video highlights now.